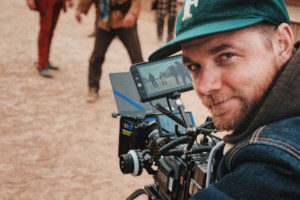 How Much Does Film Production Insurance Cost? Film production insurance is often utilized by filmmakers and production companies who want to protect their projects from liability claims. Unfortunately, not everyone who needs coverage actually obtains a policy. 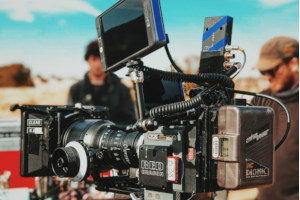 Due to the countless costs involved in the film creation process, many filmmakers fail to get the insurance coverage they need to avoid the anticipated expenses. What many filmmakers do not realize is that film production insurance is actually quite affordable, especially when you consider the possible costs involved in a lawsuit against your production company. Read more about the different types of film production insurance and the benefits a policy provides. There are several classes of film production insurance designed to cover a variety of production types and lengths. These include short-term, long-term, and DICE annual production insurance. Short-term production insurance is a popular option for film, digital, and video production work ranging from commercials to music videos. With short-term production insurance, productions are covered on a project-by-project basis. This means that the project can be covered for as little as one day. However, it is best to extend your coverage to protect any prep days. Short-term film production insurance generally provides coverage for up to 60 days for productions with budgets of less than $1,000,000. Long-term film production insurance is best suited for filmmakers who plan to shoot multiple times throughout the course of a year. A long-term policy can be convenient because it covers all of the projects you are working on. While long-term policies are most commonly used by active production companies, they can be beneficial for any filmmaker who has their own production company that produces four or more productions a year. Long-term film production insurance may also be a good option if you own equipment that you rent out to productions. DICE annual insurance is a specific type of policy that provides filmmakers with pre-arranged coverage for specialized types of productions over a one year period. DICE stands for Documentaries, Industrial, Commercial, and Educational Films, which are all covered by this policy. In addition, an annual DICE policy may also cover short productions such as music videos or other “shorts.” Policies are available for budgets of all sizes, however this program is only available for shoots within the U.S. with the additional option for worldwide coverage. If you are a filmmaker that has ongoing projects and do not want to worry about getting coverage for at least 12 months, DICE annual insurance may be a good choice for you. How much does film production insurance cost? The answer can vary widely. Insurance carriers base their prices on a range of factors, such as the size of the production company, the filmmaker’s budget, what type of insurance is needed, and what risks are involved in the production (e.g. dangerous stunts). Short-term film production insurance costs typically start around $400 and increase depending on the factors previously mentioned. Annual or DICE policies can have premiums ranging from $400 up to $2,500 per year. One of the first reasons to consider getting coverage is to meet certain legal obligations. Many film locations, for example, will not allow you to start filming unless you have a policy in place. This helps protect the building owner from certain liability issues that may be caused by the production crew. Furthermore, as a filmmaker, you likely have expensive equipment and props that you want to protect. Having a film production insurance policy can provide protection against thefts and damage to your equipment, props and other accessories. If your production company faces such a claim, having adequate insurance can help prevent you from incurring the financial burden of a lawsuit. In addition, film production insurance includes general liability coverage which protects against damage to the filming location and injury to crew and other people who may be working on the film. Learn more about what film production insurance covers. As a filmmaker, it is your responsibility to ensure that your cast, crew, and equipment are protected from possible legal claims. Having adequate insurance coverage is an effective way to keep your projects running smoothly without fear that a single mishap could stop your project in its tracks. While acquiring film production insurance can be an additional expense on top of the ever-growing list of production costs, most filmmakers agree that the cost is well-worth the benefits and peace of mind it brings. To learn more about film production insurance or to get a quote for a film production policy, contact an experienced entertainment insurance broker at MFE Insurance. Previous Post: « Why Should I Have Insurance for Film Production?